Hepatitis B (HBV) is a viral infection that increases the likelihood of developing liver cancer or liver failure. According to the World Health Organization, an estimated 2 billion people currently are infected with HBV, which is more than 10 times the number of people who have human immunodeficiency virus (HIV). Currently, treatment for hepatitis B infections is limited to one class of drugs that targets the virus. 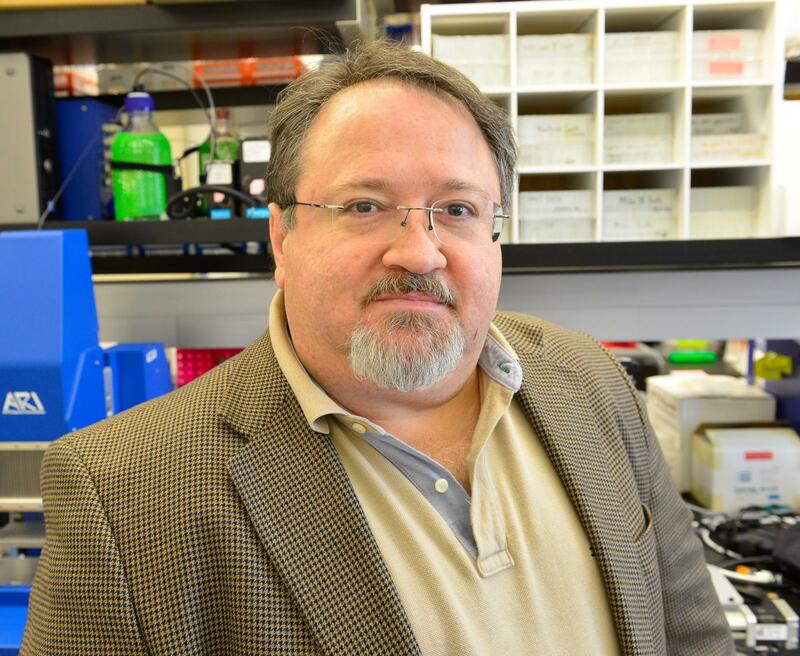 Stefan Sarafianos, an investigator with the University of Missouri Bond Life Sciences Center (BLSC) recently was awarded $3 million from the National Institutes of Health to study the disease. Building on existing research, he and his team will work on the development of new drugs to treat HBV. "Hepatitis B truly is a global, public health issue," said Sarafianos, a professor of molecular microbiology and immunology and the Chancellor's Chair of Excellence in molecular virology in the University of Missouri School of Medicine. "With more than 240 million people chronically infected, it is an epidemic of epic proportions. We are working to develop therapeutic strategies that not only suppress the virus, but also have the potential to eradicate hepatitis B." Since HIV and HBV share similar replication characteristics, proven HIV drugs called nucleoside analogs or "nucs," which target the replication abilities of HIV, also are the treatments of choice for HBV. Based on this knowledge, Sarafianos and his team are working to develop a second drug line that targets the viral capsid, or the building block of an inner protective shell that protects the viruses' genetic material. The capsid is involved in many aspects of the viral lifecycle and its stability is necessary for HBV. "Research shows that viral DNA is housed inside the viral capsid," Sarafianos said. "We work on drugs that would destabilize the viral capsid and could help eradicate the virus. We truly are grateful to the NIH for their continuing support of our efforts." "This significant funding from the NIH highlights the research excellence of the School of Medicine and its commitment to solving global health issues," said Patrick Delafontaine, Hugh E. and Sarah D. Stephenson dean of the School of Medicine. "This diverse team of scientists and students showcases the school's commitment to research and teaching the next generation of scientists. We're proud to be leading the effort and look forward to results that will benefit the world." "The innovative culture at the Bond Life Sciences Center enables our investigators from across the campus, state, nation and the world to solve the health problems affecting global citizens," said Jack Schultz, director of the MU Bond Life Sciences Center. "The BLSC encourages the development of the research strengths of our scientists, undergraduate and graduate students. We're excited about this new research and its implications." The multi-investigator project, "Taking aim at HBV eradication using novel NRTIs and Capsid effectors," (Grant #1R01AI121315-01A) will be led by Sarafianos and includes researchers from the University of Minnesota in Minneapolis, Minnesota, and the University of Pittsburgh.